Click on each service for more information or to quickly and easily sign up. If you're not sure where to begin, schedule a 30 minute complimentary Wellness Discovery phone session by clicking the button below. 14-Day Spring Cleanse to Get Ready for Summer! Summer is coming - are you ready? This 14-day spring cleanse will help you shed pounds and feel great heading into summer! Customized meal planning - 4 weeks' worth of delicious gluten-free meal plans, with beautiful recipes and a complete grocery list. Set goals, make plans, and break through your toughest barriers with a personal coaching session. Personal coaching to provide guidance, support, and accountability to help you make progress toward your health, fitness, nutrition, and life goals. Wondering where to begin? Schedule a free 30-minute phone consultation with René. Create lasting lifestyle changes with proven strategies through this structured 20-week educational program. Hey there! I’m René Miller, a holistic Nutritionist and Wellness Coach, specializing in Celiac Disease. My passion is working with gluten-free clients, to give them the tools they need to have more skills and confidence, so that they live a gluten-free lifestyle and still have family meals and a fabulous social life. René is a fabulous coach! She brings a calm yet motivational presence to each session. I loved how René clearly listened to what I wanted to accomplish and helped me clarify a path forward. Her expertise in nutrition partnered with her coaching skills were an excellent match for my needs. I have been able to stay committed to my 3 month goals thanks to René, and I am so grateful for the results of our work together. René's guidance and support really helped me focus on my individual challenges and identifying what worked for me. She gave me tools to stay focused and how to get back on track in my busy life. She helped me understand my triggers as well as being much more aware of how I consume food such as paying attention to automatic eating, rather than taking the time and actually enjoying a meal. If you are looking to make healthy, positive changes in your life, René is your coach! René opened my eyes to a new way of setting health goals. My whole life health goals have always been about my weight. Through René I realized it's about my entire health: food, water, finances, sleep, exercise, time for myself, time for family/friends, etc. By changing my goals each week to meet both my short term needs while still working towards my long term goals, I was able to understand that you don't have to do it all every day. You can change your focus based on what is happening in life and give yourself a break. I will carry the tools René gave me and continue to use them as I work towards current, and future, goals. I highly recommend René. Are You Ready For Your Sunny Life? 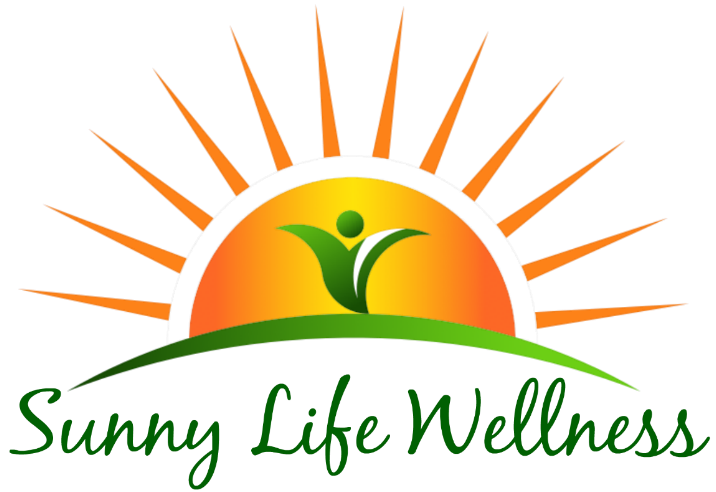 Get nutrition tips, product updates, and some other fun goodies by signing up for the Sunny Life Wellness newsletter.